Fall is in the air, Thanksgiving weekend is here (this side of the border anyhow)! I love everything about this holiday… really how can you go wrong with turkey and all the fixings. But what I love most about the holidays is time spent with family. Whether it is around a punch bowl, snuggled up on the sofa with a blanket and a warm drink, or celebrating with a totty, drinks always seem to have a leading role in the festivities. 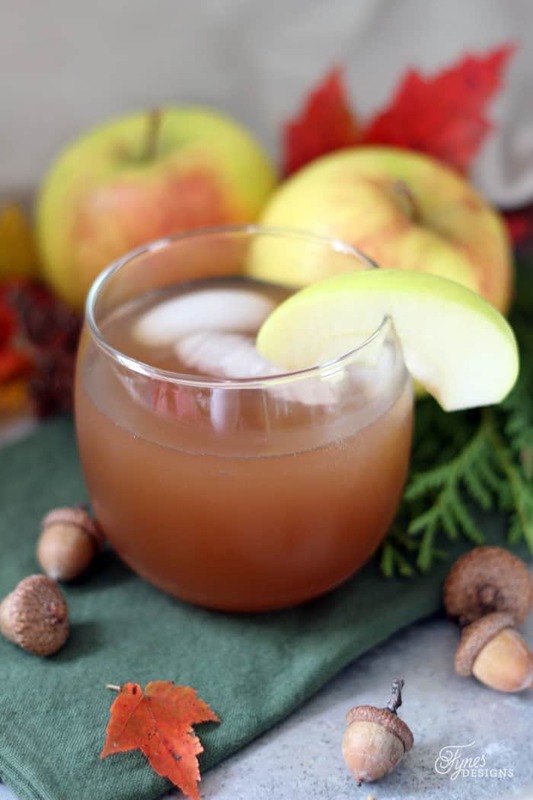 Today I’m sharing a yummy Apple Cider Punch fit for a crowd! Apple Cider is super yummy, but it isn’t exactly affordable to serve to a big crowd. Adding a few simple ingredients will stench your cider so there is lots to go around! Simply mix all the ingredients into your punch bowl, stir, add ice and apple slices for garnish. That’s it, thats all! Now sit back and relax as your guests serve themselves from this uber stylish Pottery Barn Pumpkin Drink Dispenser, pretty eh?! Dip apple slices in a bowl of water with 1 tsp. lemon juice to prevent browning. Cut a small ‘V’ in the apple slices to garnish the punch glass. 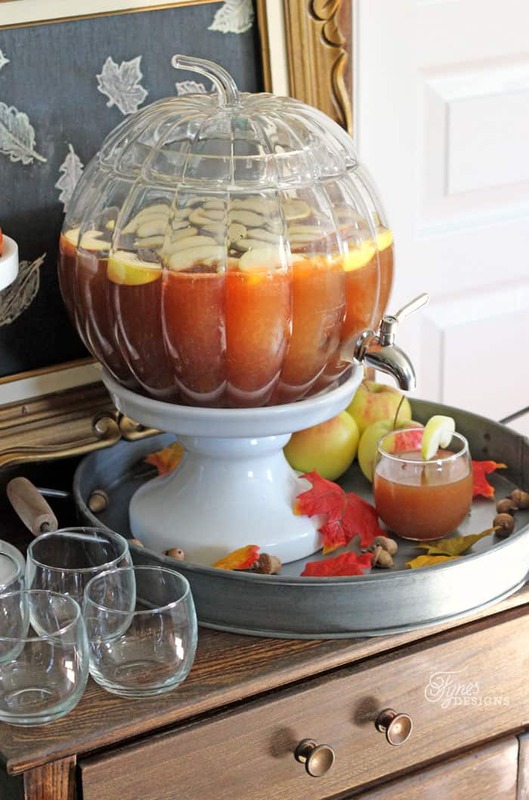 This punch is sure to put your give your guests the festive flavour their looking for! Looking for something a bit more cozy, or maybe something with a teensy kick? 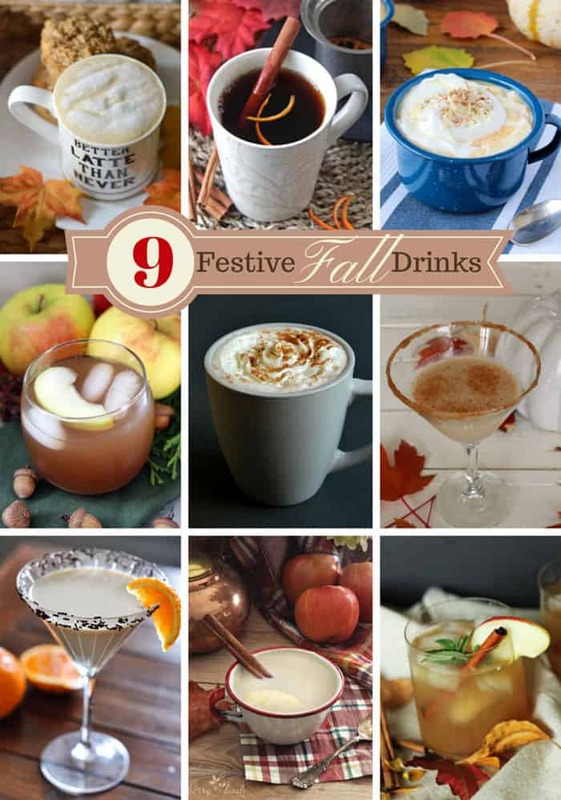 The Creative Canadian Bloggers are pleased to bring you 9 Festive Fall Drinks to get your Thanksgiving weekend started right! Wishing all my Canadian friends a wonderful Thanksgiving weekend. Want to make this delicious drink for your party guests? PC is giving you the change to WIN a $40 gift card to help with your next party drinks! Spiced Apple Cider, my mom has a recipe she refuses to share lol! Love a good spiced apple cider too (the hot kind). Happy Thanksgiving! Hot chocolate is my favorite fall drink. I love drinking a hot chocolate on a chilly Autumn afternoon! Apple cider. And I wish I had that adorable pumpkin drink dispenser like you have! Hot chocolate with a little spiced Kracken Rum! I love the scents of Fall. That sounds SO yummy. 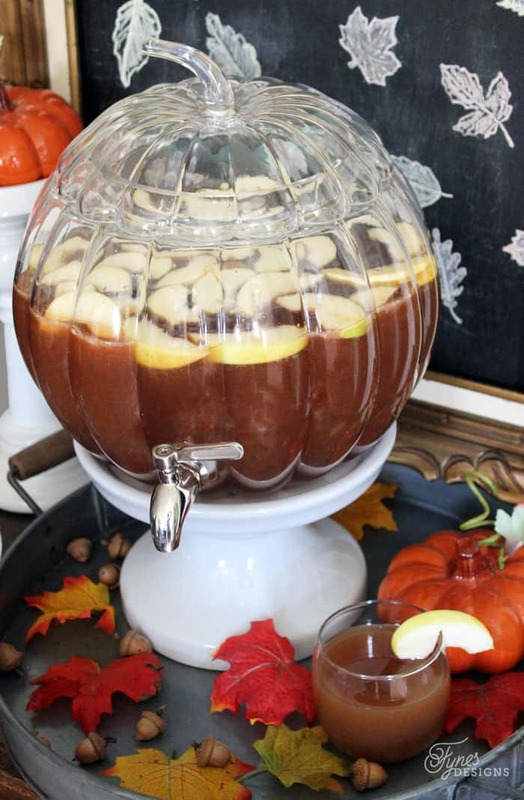 I wish I had that Pumpkin Drink Dispenser – I love it!! This looks so good! I love hot Apple Cider, but this would be great at a dinner party! Apple Cinnamon Tea!! I love it and only seem to drink it in the fall. 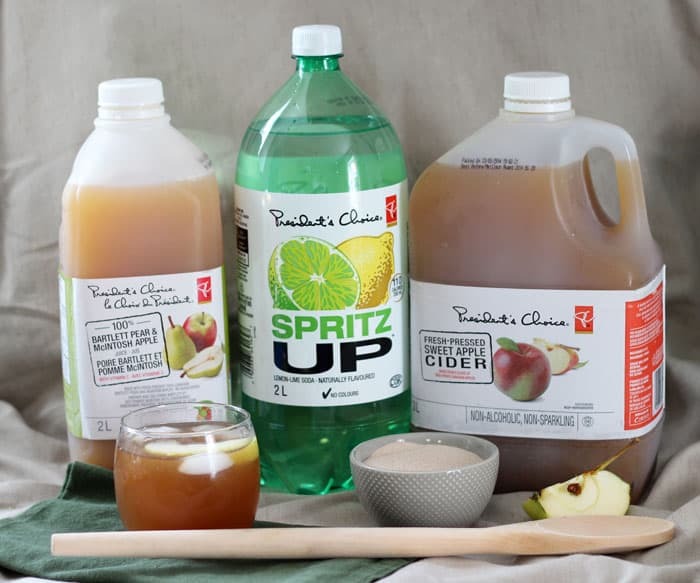 My very favourite is Pumpkin Spice Latte, but Apple Cider is a close second, and your punch looks lovely. Hot Chocolate is my fall and winter drink. My favourite fall drink is hot chocolate. I love pumpkin spice lattes… as most of us do. 🙂 This cider sounds delicious though! My favorite fall drink is hot cocoa. hot apple cider with a bit of whip on top! Mine is Hot buttered lemonade!! yummy! I actually love Apple cider! Hot chocolate is my fave for those cool fall days. My favorite fall drink is hot chocolate. Our family loves apple cider, we have a apple tree in the yard so we are lucky enough to make it fresh! Toss up between hot apple cider and a hazelnut latte. Mmm I love cider! I may use this for the potluck we are having! I love mulled apple cider. Hot chocolate is my favourite fall drink. I like warm apple cider with lots of cinnamon. 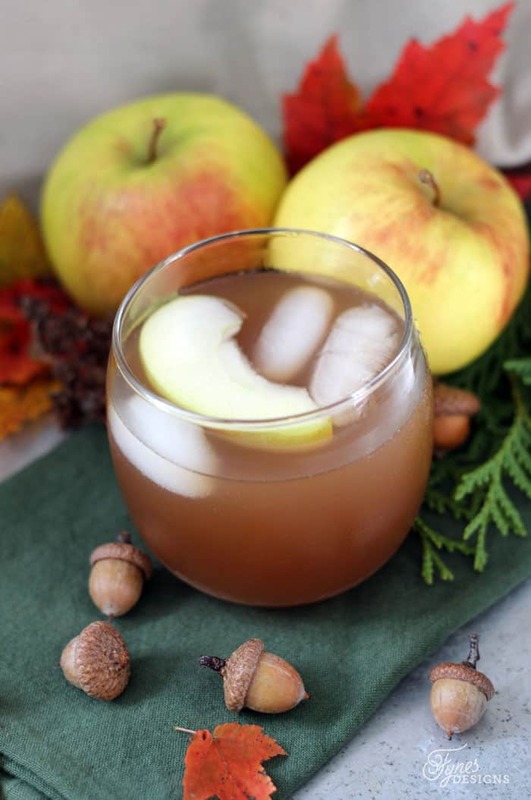 Favorite fall drink must be spiced cider! Yummy! I usually make something similar to this at Thanksgiving too. Love, love, love the drink dispenser! I am all about hot chocolate and apple cider when it gets cool out. I love fresh pressed apple cider- yummy! Hot apple cider!! The punch looks divine. Caramel Lattes and hot chocolate topped with cream and chocolate shavings are my favorite fall drinks. I LOVE a french vanilla from Timmies! I make a wicked pumpkin spiced apple cider, heat it up and its amazing. Seriously though, the pumpkin spice latte is my favourite! My fave fall drink has to be a hot coffee with Baileys. Nothing beats that curled up under a blankie reading a book! That punch however looks to die for. Will have to make it for my next party. I am going to try this ASAP! I need get off my pumpkin pie spice-flavoured drink kick! I love steamed apple cider. Warm spiced Apple Cider is my fave! This looks like a perfect and refreshing fall drink! And I’m LOVING that pumpkin drink dispenser!! I WAS WONDERING WHAT METAL TIN WAS USED UNDER THE PUMPKIN DRINK DISPENSER? I WOULD LOVE TO KNOW WHERE I CAN BUY ONE. I REALLY APPRECIATE IT. Its just a serving try that I picked up at Home Sence (Home Goods in the US). I find they have lots of metal serve wear out this time of year, hope you can find one!